You can access the weather table by pressing the weather button at the top left of the display. 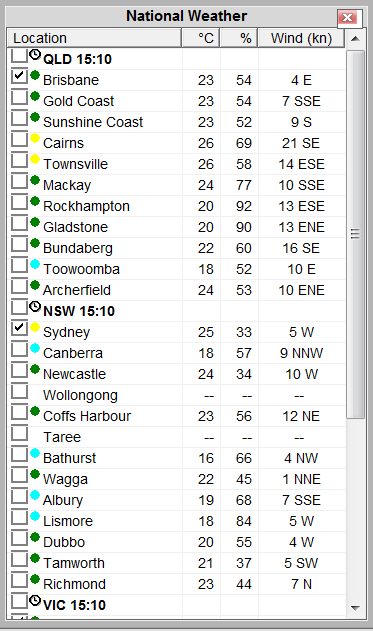 The weather table shows temperature, humidity and wind speed for cities across the NEM. By ticking the check-box next to a city you can toggle it from displaying on the map.